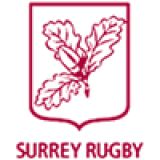 Surrey 7s trials will be held on Wednesday 16th May 2018 at Esher RFC (7.00pm) . These are open to any player interested in representing Surrey on the 9th June 2018 at the County 7s. If anyone would like to come along, could they please email Anthony Braithwaite in advance (ant@esherrugby.co.uk) for further details. In addition, this year the best players from the South East Counties entering the County tournament will be put forward to represent an invitational side (Select Sevens) at the Olney 7s on the 23rd June 2018.